THE VERY LAST REMAINING TICKETS WILL BE ON SALE AT 7PM ON THURSDAY 3RD OF MAY! This has been our quickest selling festival ever, thank you! Spawning from one of the most well known club brands in Britain comes Detonate Festival, Nottingham's biggest underground music festival that takes place on May Bank Holiday Weekend, with almost 50 acts descending on Colwick Country Park to bring some serious noise for the biggest bass music fans in the country. Featuring a line up that brings together the best in drum & bass, hip-hop, dub, grime, R&B and house, there is something for everyone across the 4 stages that Detonate Festival comprises of. 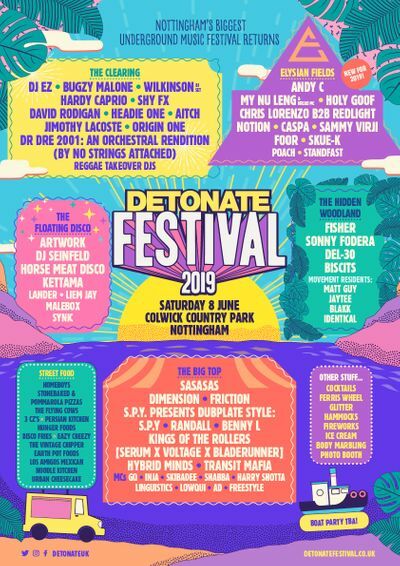 The artists who play at Detonate Festival are a combination of world class superstars and the brands all time favourites, who have played for them at their events up and down the country in Sheffield, Leeds and of course at their home in Nottingham. Since the festivals inauguration in 2012, which was then held as an indoor festival at Detonate's home, Stealth, artists of the ilk of hip-hop superstar Nas, Sigma, Sub Focus, Gorgon City, Bonobo, Pusha T, Huxley, Andy C, Wilkinson, Boddika, DJ EZ, Redlight, Meridian Dan, Digital Mistikz, Friction, Kenny Ken, Ame, Shy FX, Dusky, Mike Skinner and Preditah have all played throughout the day. 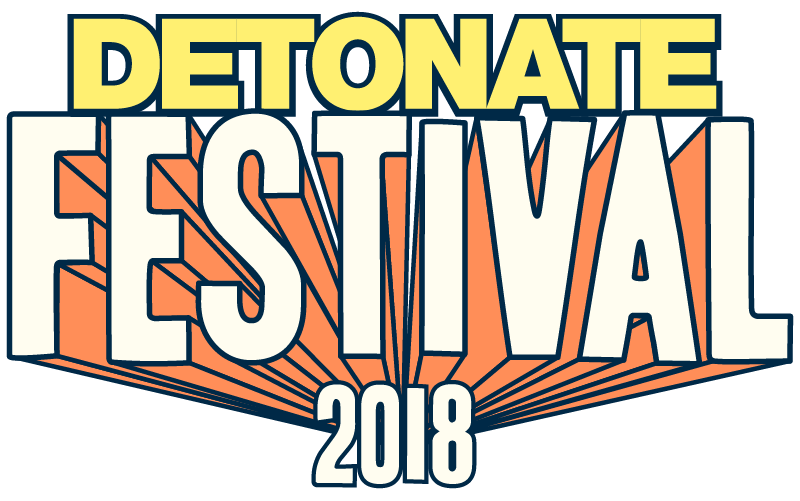 After the sun goes down and the main event eventually comes to a close, do not worry as every year there is the Detonate Festival After Party 'Detonation', which takes place in the city, bringing even more first class DJing talent to the stage to keep you going all night long. The likes of DJ Hype, Goldie, Hazard, Bailey, Randall and DJ Derek have played at the festival after party and you can be sure this year will hold more of the same.